Stop wasting time swapping batteries between your lawn and power tools! 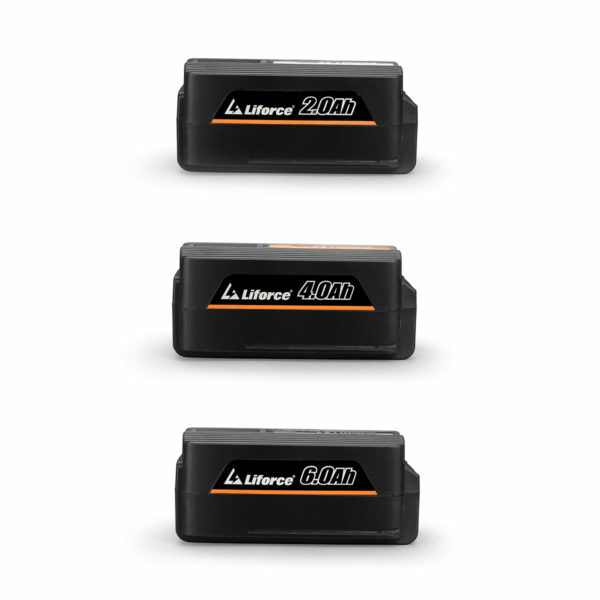 Get multiple batteries to accomplish more projects at once. 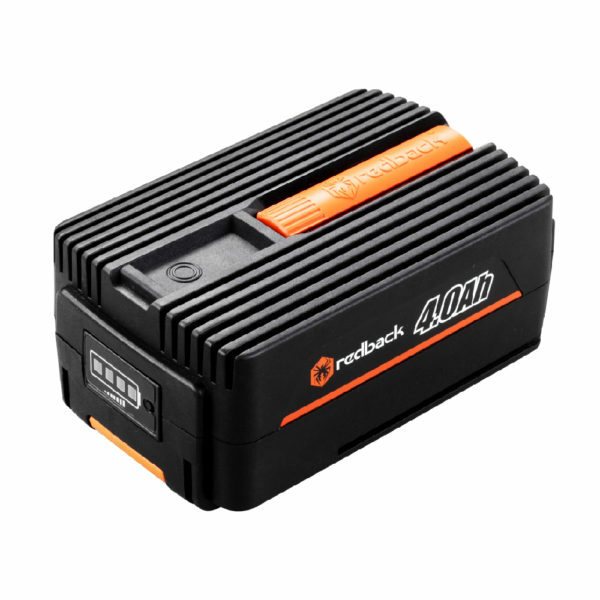 The Redback 40V 4.0Ah Lithium Ion battery has the Lithium Ion advantage of no memory loss effect after charging. That means, deep-charge charge cycles are not required. Unlike most batteries, Redback batteries are not damaged over time from irregular charging cycles. 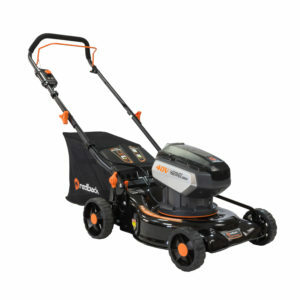 Just snap in and go, convenient to operate and gives you maximum performance making yard work easier and quicker. Re-charging your power tools is simpler and faster than other battery-operated power tools. On a decent charge, expect up to 30 minutes of nonstop runtime with our 2.0Ah battery, 60 minutes with our 4.0Ah battery and 90 minutes with our 6.0Ah battery. 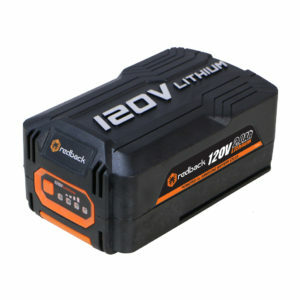 Compared to other power tool batteries, Redback batteries are lighter and smaller. Designed to be compact, the Redback 4.0Ah battery weighs only 2.87 lbs and features a battery charge indicator. 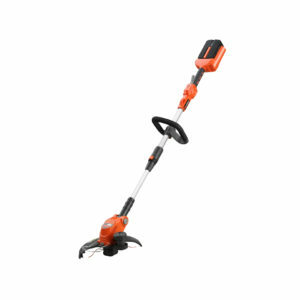 The eco-friendly Redback 40V Lithium Ion battery compliments a complete range of lawn and power tools to get you through your toughest chores, from hedging and trimming to mowing and chain sawing. Rest assured, all 40V Redback products are backed by a 3-year warranty (all batteries backed by a 1-year warranty).